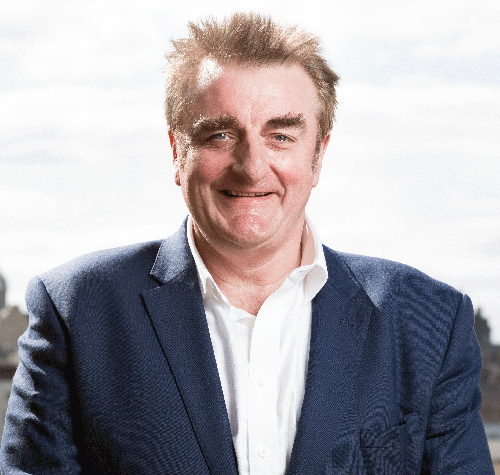 Tommy Sheppard is the Member of Parliament for Edinburgh East. Born in Coleraine, Northern Ireland in 1959, Tommy went to the local grammar school and, equipped with the requisite A levels, moved to Scotland to study medicine at Aberdeen University. He graduated with a degree in politics and sociology, having spent rather too much time campaigning against the Torness nuclear power station. He moved to London for a year to take up the elected position of Vice-President of the National Union of Students. He got re-elected. A number of campaign jobs followed in local government and the voluntary sector. Tommy was elected as a Labour candidate to Hackney Council in 1996 and served for two terms becoming deputy leader in 1990. He stood, unsuccessfully, as a Labour candidate in the 1992 general election. He returned to Scotland in 1993 appointed under John Smith as Assistant General Secretary of the Labour Party. In 1997 – under Tony Blair – he was asked to leave. In 2000 the Labour Party finally left him. He had established the Stand Comedy Club in Edinburgh as a hobby in 1995. Three years later he turned it into a business. Today the company runs three successful venues in Edinburgh, Glasgow and Newcastle and is one of the largest venues on the Edinburgh Festival Fringe. A lifelong campaigner for devolution, Tommy became convinced of the case for Scottish independence in the mid noughties. He played a prominent role in the 2012-14 Yes campaign both locally and nationally. Two days after the referendum on 18th September 2014 he joined the SNP. He was elected as the SNP MP for Edinburgh East in May 2015 with a majority of 9,106 and 49.2% of the vote. His particular political interests include human rights, anti-poverty, austerity and equality issues. Tommy is the SNP’s spokesperson on the House of Lords, Cabinet and Scotland Offices. He lives in south Edinburgh with his partner Kate and cocker spaniel Henry. He is a member of CND and Republic and is a board member of the Scottish Independence Convention and Common Weal.